It's not a holiday hoopla without awesome freebies, fun activities, great food, and fantastic friends. Oh wait..so then this WAS a holiday hoopla! 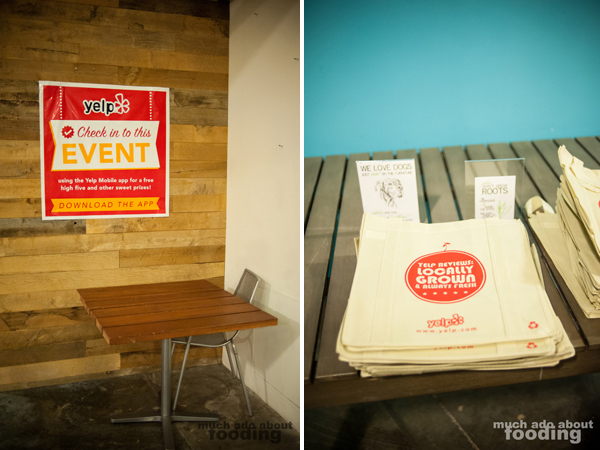 Yelp OC Community Manager Ryan C. has done it once again with a spectacular event that was loads of fun and a great way to give back to the community. I love how the events usually try to have a community-building focus and this one was certainly no different. 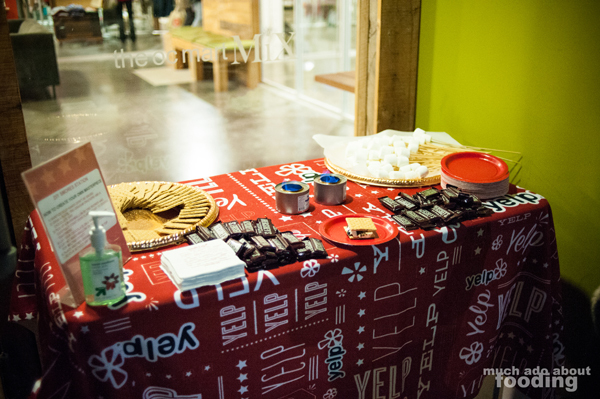 On a cold night, Yelpers gathered inside the wondrous OC Mart Mix to shop to their hearts' delight (20% for RSVPing, what!) 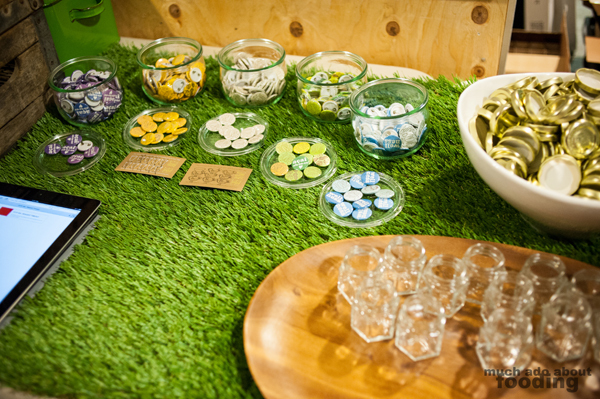 and nom on some small treats from the vendors inside. I love the OC Mart Mix - I really do. 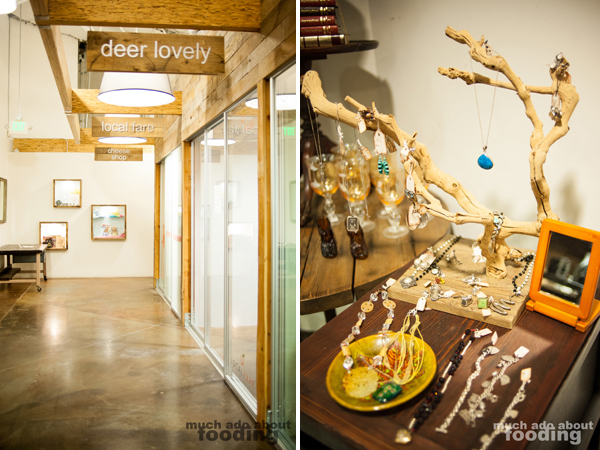 The fact that we were all there supporting some local businesses too was fantastic. 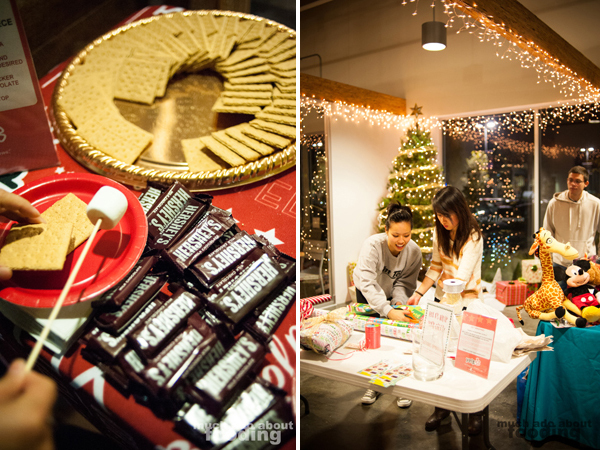 There was a make-your-own-s'mores station created through the innovation of using burners for our "bonfire." There was a gift-wrapping station where you could also donate toys to Share Ourselves. As I had mentioned before, I love the OC Mart Mix and seeing the owners milling about there was a nice get-to-know-you touch. 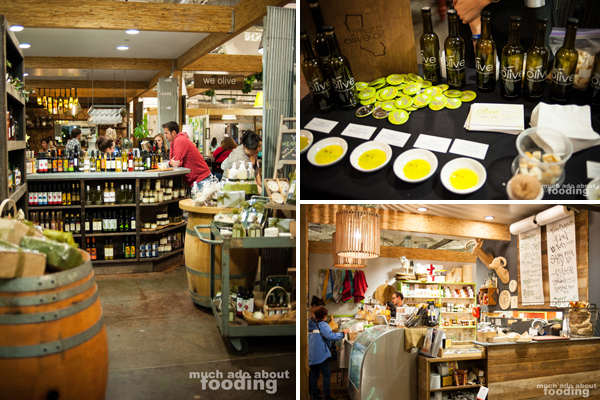 We Olive had a tasting station where I got to nibble at some bread and a variety of olive oil (that jalapeno one was a pleasant surprise). The cheese shop was open with some goodies. 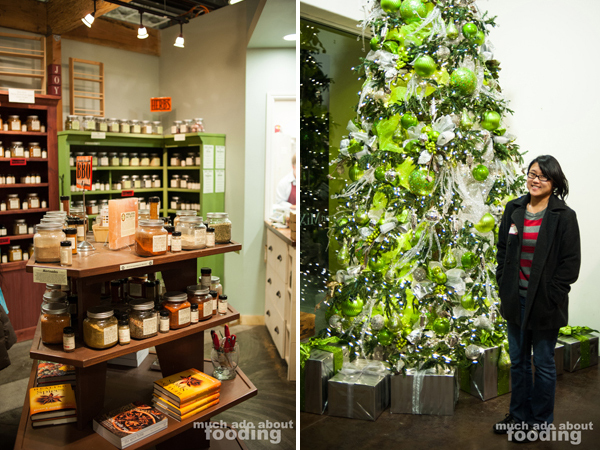 Oh and the star of my show was the Savory Spice Shop which I had come specifically to the Holiday Hoopla for (well, and to support Ryan and donate toys of course =] ) - 20% there! I stayed myself pretty well but did run off into the night with a new spice grinder and some black lava salt. Whoohoo! 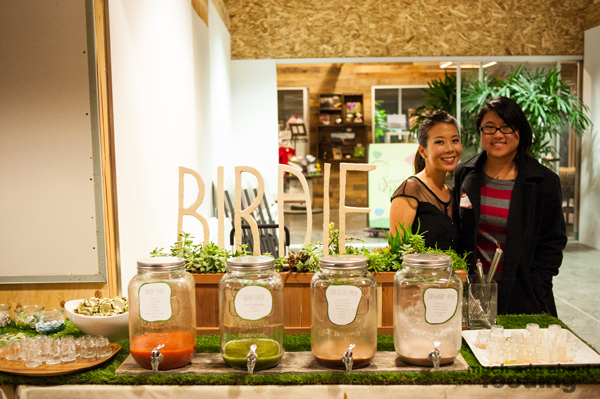 I also got to meet the sweet owner/creator of Birdie Bowl and Juicery, Jee! You may know her from her other place, Milk + Honey. Not only was everything about the set-up cute but the drinks delicious. 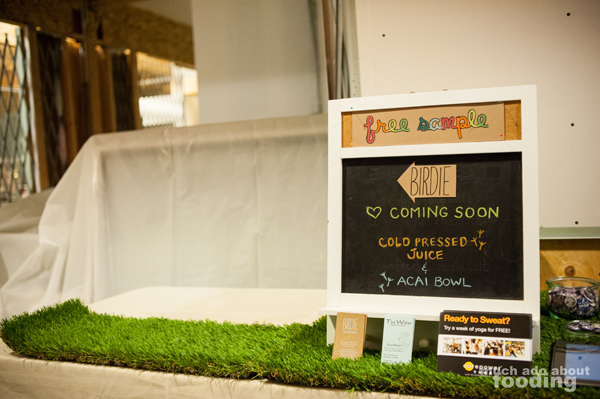 I had heard about this new juice bar opening up at the OC Mart Mix a little while ago but had never gotten a chance to sample their drinks. Now that I have, I must come back! 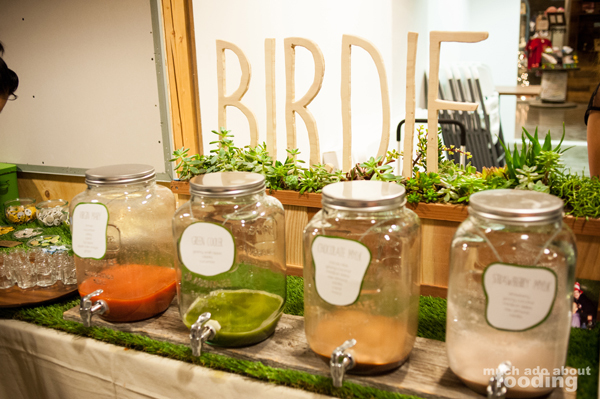 Fresh ingredients, fresh ideas, fresh design - what's not to love? It was my last stop of the awesome night and I'm glad to have come out to see and catch up with some Yelp friends I hadn't seen in a while. Great job to our CM!